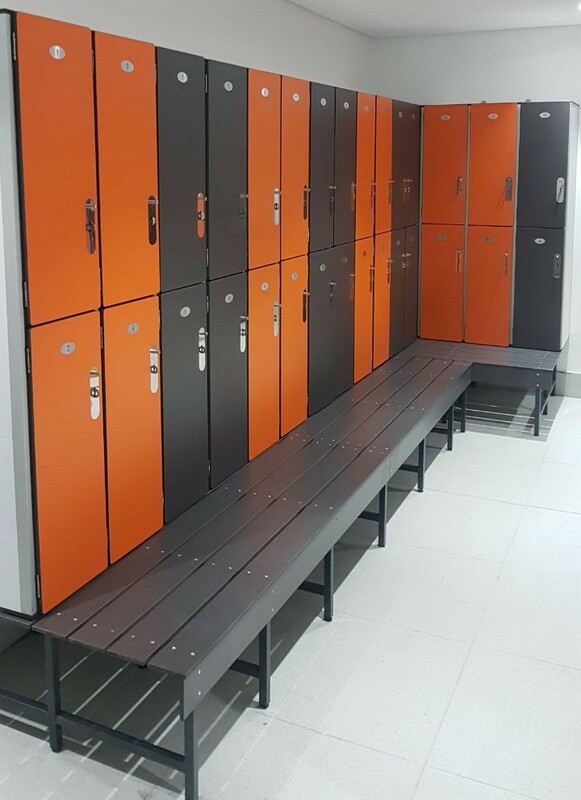 In addition to the different locker options, we offer a unique space-saving locker-bench combination product especially suitable in an environment where space is at a premium. 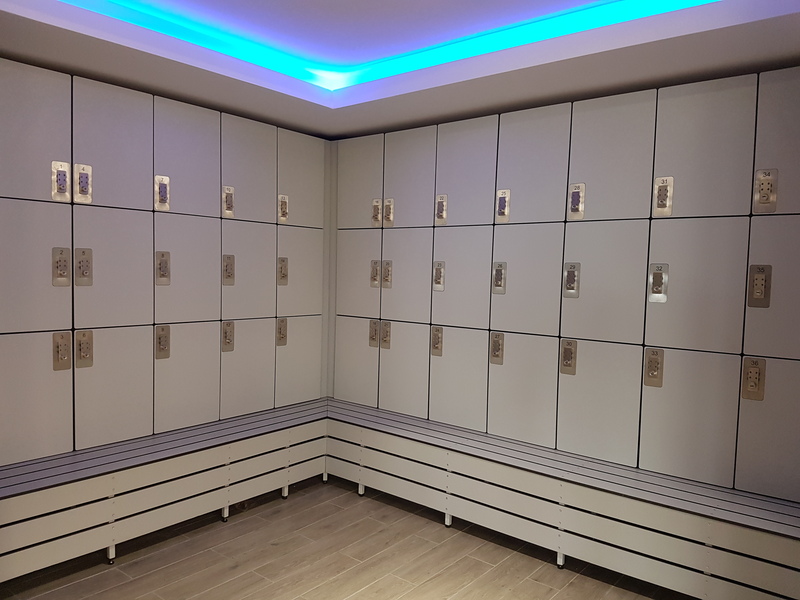 Available to be manufactured in Compact High Pressure Laminate (CHPL), Compact Density Fibre Board (CDFB) or Melamine Faced Particle Board (MFPB), again with design flexibility. 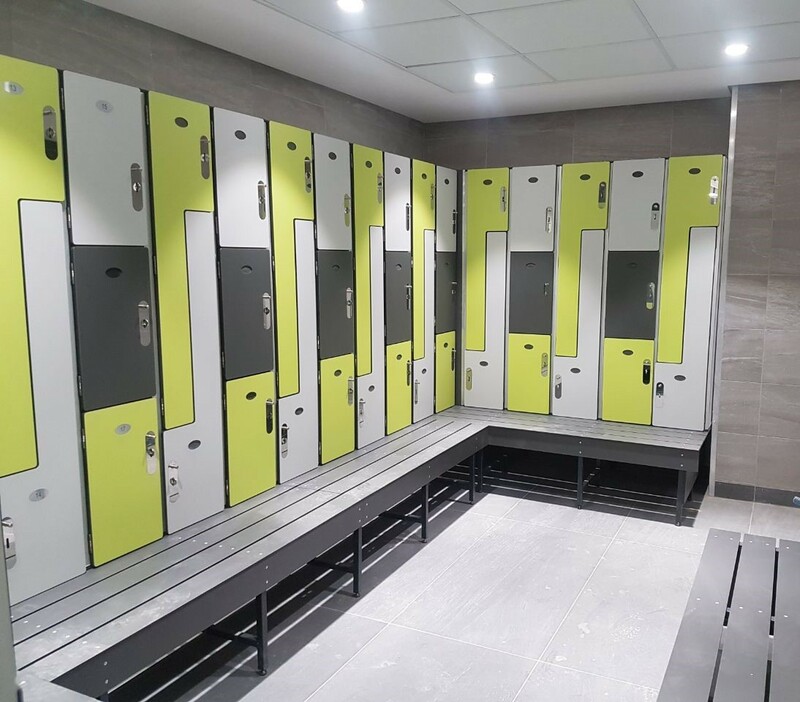 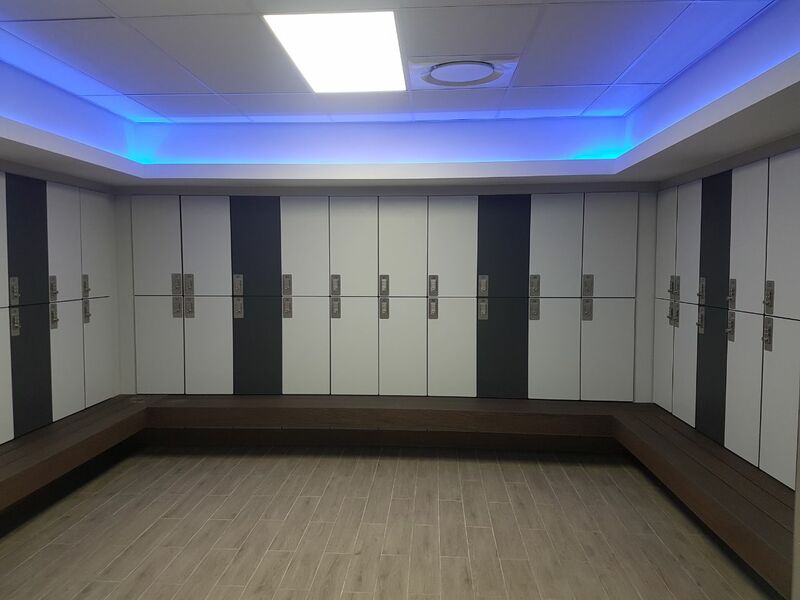 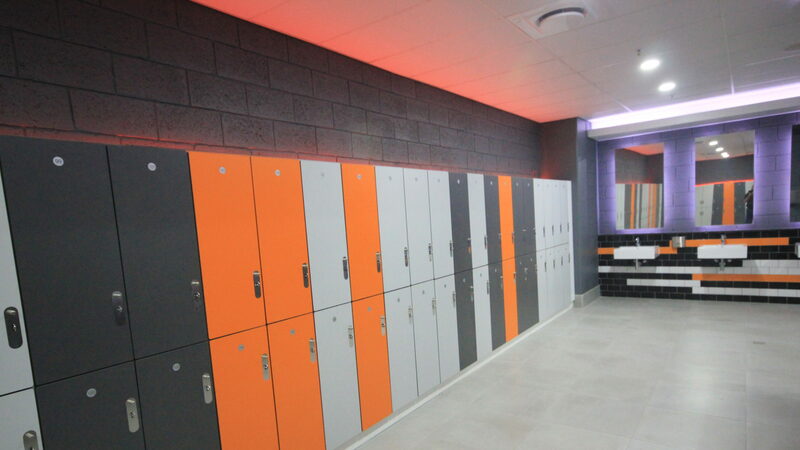 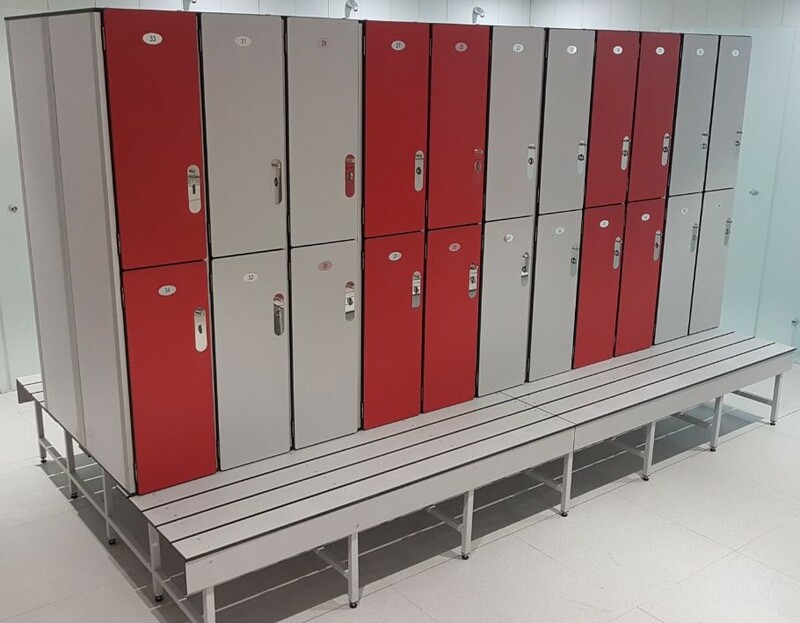 Lockers to sit on bench frame which is manufactured using powder coated mild steel OR aluminium, with a 400mm bench frame at the front of the lockers. 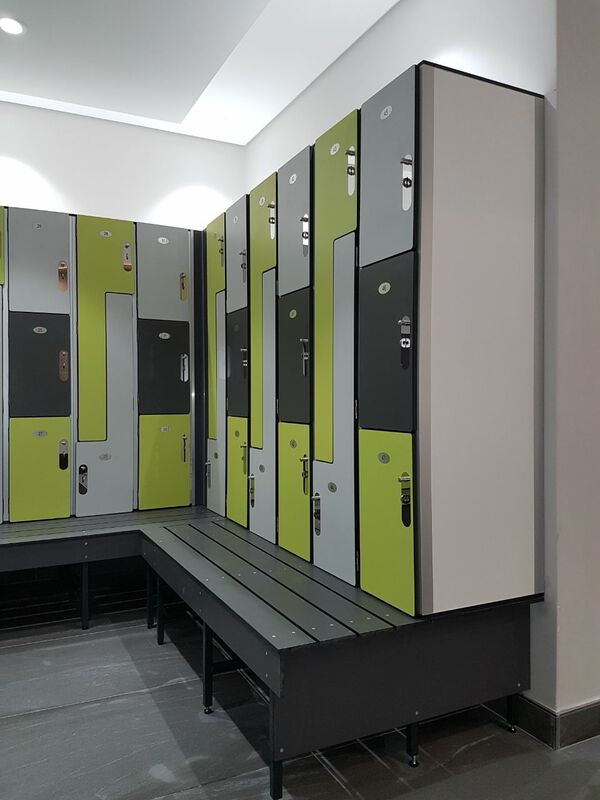 Bench seating to be manufactured using 12mm Compact High Pressure Laminate, (colour: one flat colour, wood grain or two or more colours would be extra-over). 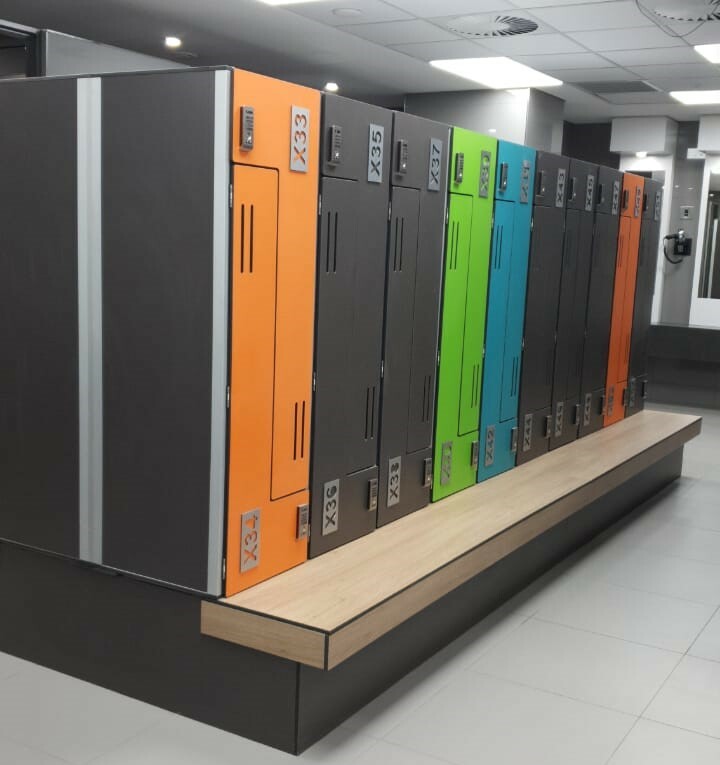 LOCKER-BENCH COMBINATION ARE CUSTOM DESIGNED AS PER CLIENT REQUIREMENT.